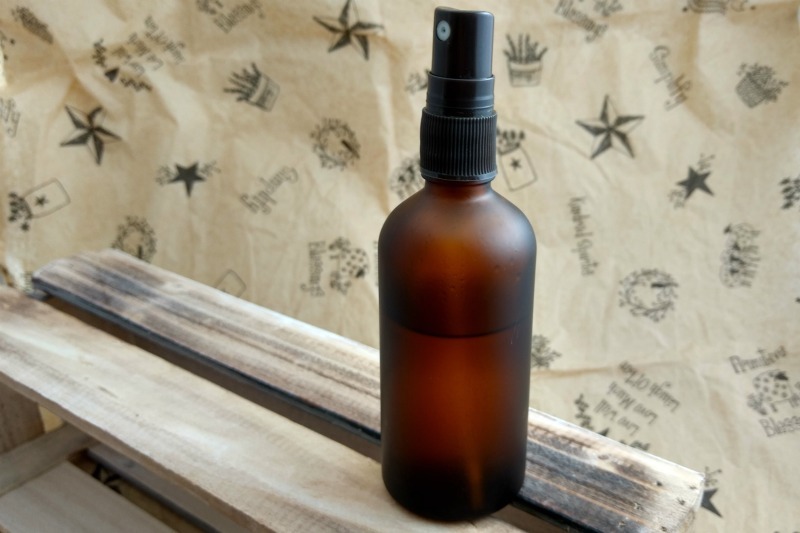 This DIY insect repellent spray is super quick to make, and works amazingly well. Plus, it’s made with all natural ingredients so that you won’t have to worry about toxic chemicals. In my opinion, the one and only downside to summertime is the mosquitoes. They annoyingly buzz around you until they finally bite, which results in itchiness and welts, swelling and even allergic reactions. And I do not even want to think about the West Nile or Zika viruses (these will be more or less of a concern depending on where you live) that they could be carrying. Ugh! I do not know what it is that makes mosquitoes go after some people more than others. Is it blood type? Breath? Body heat? Pheromones? Sweat? Even the scientists have not figured it out exactly. Although – they do say that there is a very large variety of factors at play. Regardless of the exact reason, I know that I am one of the lucky ones. I can count the number of mosquito bites I have gotten in my adult life on my fingers and toes. Or at least I don’t react to mosquito bites in a typical way so I am unaware it has happened. Please don’t hate me. My husband, on the other hand, is not so fortunate. Mosquitoes seem to swarm to him, covering him with those itchy welts. So insect repellent is definitely a necessity in my home, especially when we are out hiking or camping. Whether or not you are a mosquito magnet, we all want to be left in peace to enjoy our time outdoors in the summer without any creepy crawlers crawling on us. Here is a DIY insect repellent spray made with essential oils so you can feel good about what you are putting on your body. Store somewhere cool, dark, and dry between uses. To use, spray liberally over body, especially any areas of exposed skin. Rub in. Spray into hands and then gently apply to face to avoid getting it in your eyes. You will need to reapply more often than a conventional insect repellent, so keep it handy. *Safety note: Citronella, peppermint, and eucalyptus essential oils are not recommended for use while pregnant by some sources. Check with a professional and always exercise caution. †Safety note: Peppermint and eucalyptus essential oil are not recommended for use on children under 6 years old. For older children, the essential oils should be diluted twice as much. 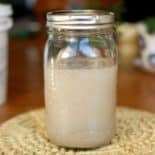 I have come across so many different DIY insect repellent recipes that use a wide variety of essential oils. 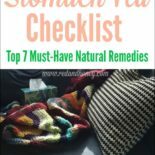 I do include quite a few different essential oils in this recipe here because I want to cover all my bases to ensure it is as effective as possible. If you don’t have all of these essential oils, I believe that citronella and lavender are the two most important to include. In herbal and folk tradition, citronella leaves have been used as an DIY insect repellent. According to The Encyclopedia of Essential Oils by Julia Lawless, for many years before DDT was introduced, citronella had been a popular choice to deter mosquitoes. This does not come as much of a surprise to me considering the popularity of our modern day citronella scented candles and torches as well. I should note here that many of those are not effective because they are simply citronella scented without actually containing citronella oil. One of the main components of geranium essential oil is actually citronellol, so it makes sense that it would also be an effective mosquito repellent the way that citronella is. Eucalyptus has been shown to have insect repelling properties. Lavender has been used as an insect repellent for a long time as a folk remedy. Patchouli essential oil is another that has been shown to be an insect repellent. Peppermint essential oil is an effective spider repellent. In addition to this insect repellent spray, I use peppermint essential oil on its own, diluted in water, on a regular basis at home. I spray it along window screens, door frames, baseboards, and in corners to keep the spiders away. Still water is a breeding ground for mosquitoes. Ensure you do not have any in your yard by checking pet dishes, pails, gutters, and puddles. Keep this in mind as well when choosing campsites. Clothing that covers your arms and legs makes you less appealing to mosquitoes. Of course, it is hot in the summertime, so choose loose, lightweight options. Hats are also a good idea. Bats are important members of the ecosystem. One of their roles is consuming insects and pests. In fact, a single bat can eat around a thousand mosquitoes in just one night, so they will keep the population down around your home. 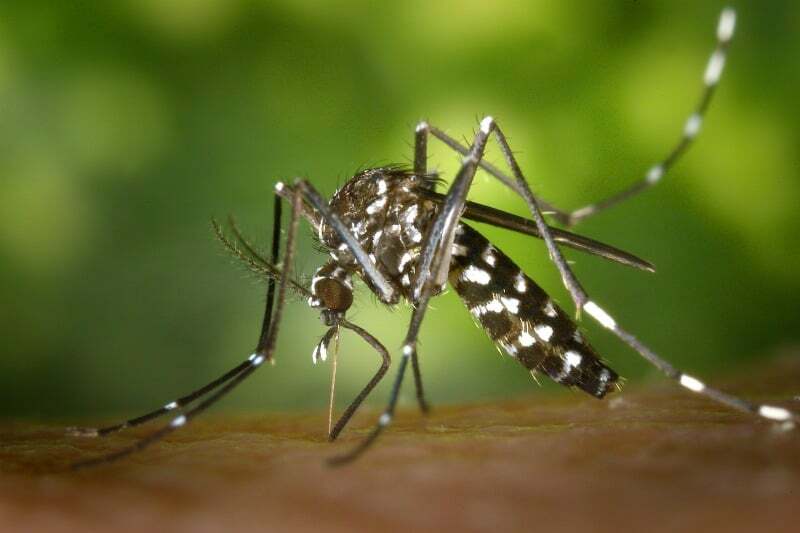 Whether you want to have a bonfire in your yard, a picnic at the beach, or go camping in the woods, you are likely to encounter mosquitoes and other pests. Use this DIY insect repellent spray with essential oils for a healthy, natural way to keep the bugs away. Instead of swatting at mosquitoes, you can spend your time focusing on enjoying the great outdoors with the people you love. 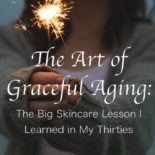 Grace Furman is a freelance writer and blogger at Heartful Habits. Heartful Habits is a place of inspiration and support for your natural health and wellness journey. She loves learning and sharing about wellness tips, natural remedies, beauty DIYs, green cleaners, and more.